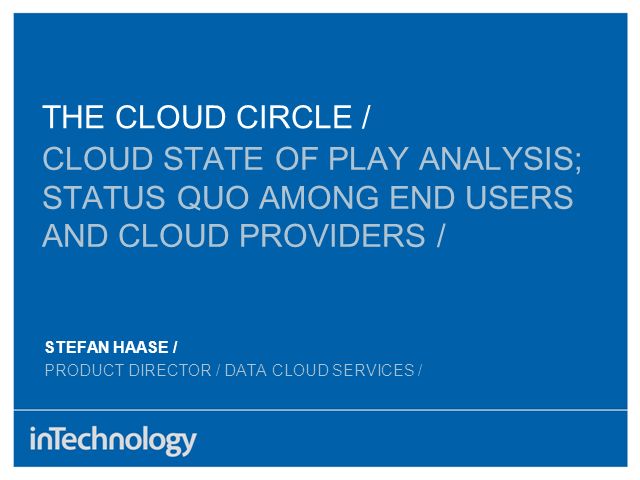 In this webcast, industry expert Stefan Haase will discuss current status quo among end users and Cloud providers. He will take into consideration uptake across SaaS and IaaS, look into the biggest growth areas for 2011, examine the impact on Cloud consumers and look at who will be the biggest winners and losers in the supplier market. Redcentric looks at some of the key areas surrounding the move from N3 to the new healthcare network HSCN including timescales, benefits and much more. Register now for an informed and in-depth guide to Ransomware for Retailers, followed by a Q&A session with our Head of Security Stuart Brown, and Adrian Louth, Enhanced Technology Specialist from Fortinet. During the course of the webcast Stuart and Adrian will be covering off a number of key areas including examples of ransomware, new business models adopted by cyber criminals and how you can protect your business. Next in our webcast series, ‘The Move from N3 to HSCN’, Mark Hall, Redcentric’s Chief Assurance Officer looks at the technical aspects of HSCN, the architecture, security and what specific controls are in place. Mark will also discuss what HSCN means for consumers and the opportunities it brings, how ISV’s will be able to manage their applications and services and how HSCN will offer patients a better service. Following the presentation, Mark will host a live Q&A session. With cyber criminals taking headlines in 2016 ensuring your networks, data and applications are secure is top of the agenda for UK businesses. This webcast looks at why visibility and control of your firewall estate is required to protect against new security threats as we look deeper into ransomware, the threat that 54% of UK companies were found to have been hit by over the last year. In this webcast Redcentric's Wesley Hornsey will be looking at the future of networks. Covering off a range of topics including software defined networking (SDN), Virtual network functions (VNF) and the future of leased lines, Wesley will discuss whether more for less actually means that and, most importantly, what the future of network development means for the customer. Across the public sector cost reduction is still a primary driver and in this webcast Mark Hall looks at how ISVs are delivering software through more agile deployments and rapid solution delivery to provide more innovative services to end users and the citizen. He discussed how the likes of G-Cloud and Corporate Software Solutions opens up new routes into the public sector, and increasing opportunities for ISVs. Mark Hall, Redcentric's Public Sector Director, looks at the four major Government networks within the public sector - N3, JANET, PSN and HSCN. He gives an overview of each network, Redcentric’s involvement and expertise as well as the requirements to access the networks. From best practices to ISO international standards, this webcast aims to help listeners navigate the complex world of business security laws giving them the confidence and knowledge to allow them to concentrate on running a successful business. In this webcast, Redcentric's Len Sumner gives an overview to Managed Database Support. Over the course of the presentation, Len discusses what MDBS is, what the benefits are and, most importantly, how it can help your business. Join us for a webcast that will give you an in-depth view of IaaS and how it can help organisations like yours. In this webcast, Steve Mckee, Solutions Specialist at Cisco, discusses how businesses can achieve a better workforce experience through alignment of Real Estate, Information Technology and Human Resources functions. In this webcast, Adam Fisher from Sue Ryder Care looks at how the charity has embraced change and why it is essential for the rest of the charity sector to embrace IT changes. Learn about plans to provide a path from developing on AWS, to hosting on private clouds. In this webcast, Redcentric and Palo Alto Networks look at the ever-changing threat landscape and how your business can protect yourself. The New IP is the next dimension in networking. In this webcast, Simon Williams from Brocade and Clive Atkins from Redcentric discuss how the new IP will put customers in control of their own networks allowing them to evolve their networks on their time, their terms. Clinical applications and software services support new programmes and practises for NHS healthcare professionals, increasing their patient care and efficiencies. Redcentric has 11 years’ experience of helping software providers to securely provide their services over the N3 network, discover how Redcentric can help your organisation in this webcast. Understanding next-generation networks and virtualisation, ip telephony, data storage, hosted applications & systems and Unified Communications delivered from the cloud.